Weight and Total Length Weight 59.7 grams, Length 74.4 cm. Balance point from tip of winder - 280 mm. 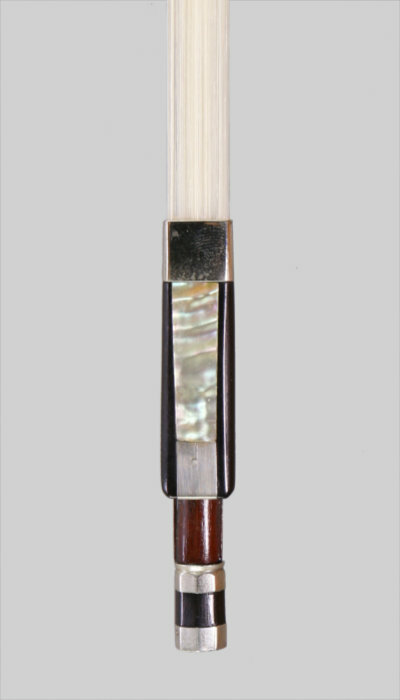 A fine nickel mounted pernambuco bow by Louis Bazin stamped Louis Bazin. This example is in near mint condition. 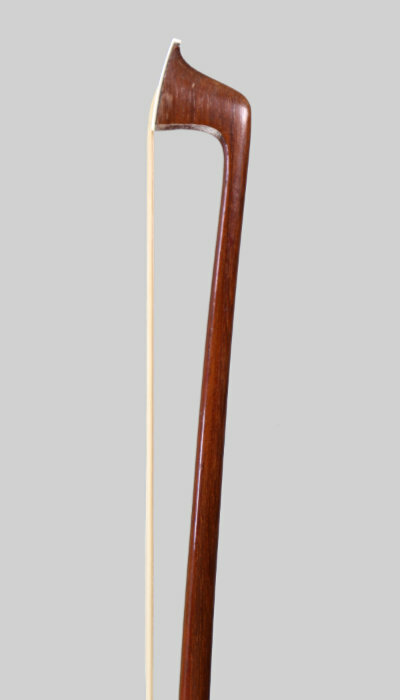 it has a beautiful strong stick, a perfect fit to the frog and the original lapping. The bow is original in all it's parts. 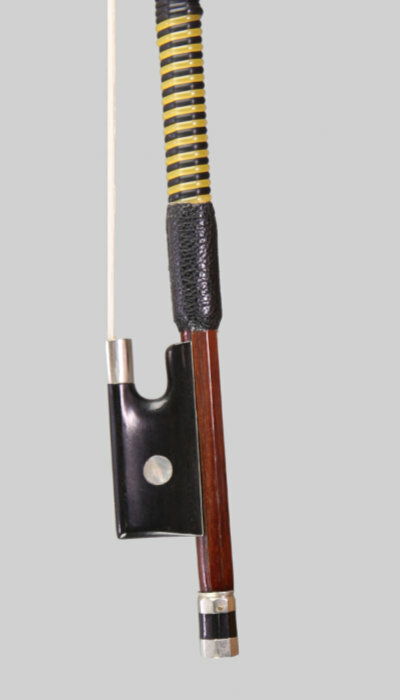 A lovely bow to play with, highly recommended!